After a seven-year hiatus John Cleese is to return to our TV screens, courtesy of Dave, as a gadget tester. The show titled Batteries Not Included sees Cleese travel around the world to test gadgets – a bit like a geeky version of old pal Michael Palin then. On his travels he will encounter a whole host of weird gadgets, including giant slippers, chin gyms and baby dusters. Cleese won't be alone in his gadget odyssey, according to The Sun, he will be joined by a whole host of 'luminaries' including Danny Wallace, Dom Joly, and Richard Herring. The show is partly based on Cleese's short stint as Q in the James Bond movies. TechRadar can't quite see the link, if we're honest. If Q had offered Mr Bond some giant slippers instead of an invisible car, we are sure Bond would have killed him in the quickest, most efficient way possible. 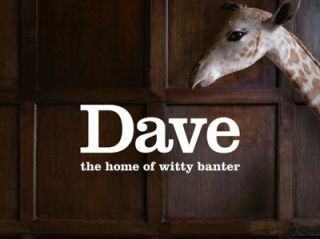 The show is part of a refresh of the digital-only channel Dave and will be broadcast in the channel's Autumn schedule.